If you have been neglecting your hedges for a long time and now they are shapeless, and just an eyesore to your home exterior, you can call our company and book our hedge trimming service to take care of them. Our company is an experienced and certified gardening services provider, and we are offering you help from the best hedge trimming service in Streatham, SW16. Pick up the phone and call us now. Our phone assistants will help you with anything. Our gardeners are equipped with all kinds of clippers and trimmers, they have ladders, and extended trimmers, to be able to easily and safely reach high hedges. Our gardeners have experience with all kinds of shapes and sizes of hedges, and different types of plants, so you can rest assure that your hedges will be properly taken care of. Our gardeners do not work with a time limit, they work until the work is done, and will give you perfect results. 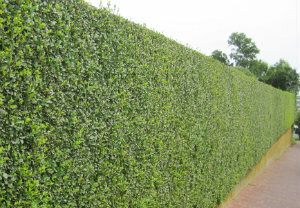 Our gardeners have a working knowledge in the different types of hedges and their needs. Our gardeners are capable of trimming your hedges any way you want. They will help you with their maintenance as well, all you have to do is hire them for regular maintenance. Give us a call as soon as possible and find out about our free dates and times for appointments. Our gardener will be happy to come and give your hedges a new shape or get them to their best state – neat and pretty. Let us help you have a better looking outdoors. 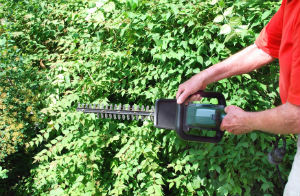 Our company is offering you the best hedge trimming service in SW16, so call us now and book us. We promise you will not be sorry.